Dillon C Trumpet in Silver Plate. 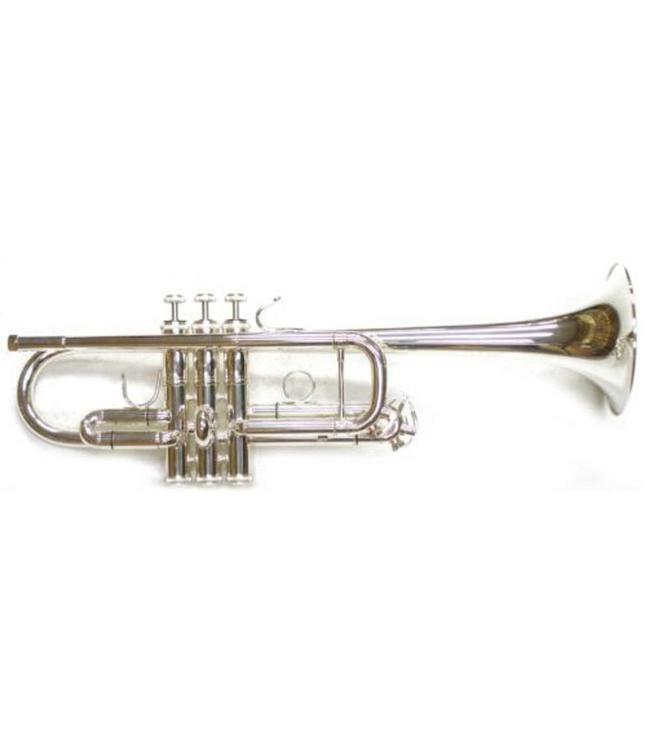 This large bore trumpet is perfect for those students new to the C trumpet, or to the seasoned trumpet player only needing a C a few times a year, still needing a reliable double . Very good intonation and play ability. Comes with a black nylon zipper case with pouch and music pouch. Also comes with a mouthpiece.